KPMG says its CFO Institute will be a new forum where they can exchange ideas, discuss pertinent issues with their peers and benchmark best practices. Chief Financial Officers (CFOs) will now have a new forum where they can exchange ideas, discuss pertinent issues with their peers and benchmark best practices. Launched today, the new KPMG CFO Institute in Singapore seeks to help CFOs in Singapore and the region to develop and upgrade their corporate finance functions. Coming at an opportune time as Singapore reshapes itself as a global financial and business hub, the new Institute will serve as a resource to help CFOs in their role. Members can participate in focus groups, roundtables and enjoy education, and training programmes, business tools and other resources. Also released at the launch event today were two new KPMG International reports. The first, titled A New Role for New Times surveyed almost 450 respondents worldwide about the evolving role of their company’s finance function. The second, titled Transforming Finance – Challenges and breakthrough solutions for CFOs, is KPMG’s response to the issues raised in the survey. The survey report reveals that 77 percent of respondents cited growing organisational complexity as a risk to their business. At the same time, 78 percent cite professional staffing as a problem, with a similar proportion suggesting it will continue to be a problem over the next five years. Some key issues that the CFO Institute will address include promoting globally consistent standards for finance skills, and improving the cross-border mobility of industry professionals. Also launched today is the Singapore chapter of the KPMG Institutes network. Taking the form of by-membership Institutes, each focuses on a specific industry or business issue. Its primary goal is to provide its members with a place to turn to for timely and relevant information and provide a forum for the exchange of ideas. The cornerstone of this effort is collaboration. KPMG Institutes will also bring together non- business stakeholders in its outreach. These will include regulators, professional bodies, and research partners such as the tertiary institutions and other consultancies. 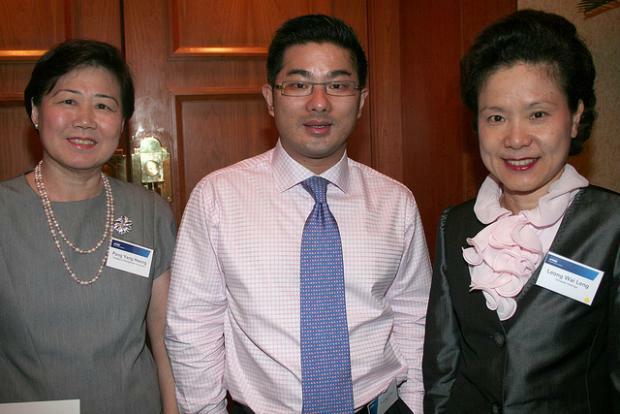 With the new KPMG CFO Institute, there are now three Institutes in Singapore, with more to be established. The other two institutes are the KPMG Audit Committee Institute, established in 2008 to bring together audit committee members across a range of industries to discuss relevant issues. In 2009, the KPMG IFRS Institute was also established and keeps its members updated about worldwide developments of the International Financial Reporting Standards (IFRS). See Appendix for more information. The KPMG Institutes will leverage the shared knowledge of the KPMG global network for the benefit of Singapore based businesses in the form of three initiatives. The first is a Research & Development Centre of Excellence (CoE), which seeks to develop business models, insights, methodologies, solutions and tools to address pan-Asian challenges. The second is a Learning & Development hub leveraging the resources of the KPMG Business School which trains KPMG’s own professionals, to promote learning and development initiatives. The third is a Business Intelligence centre which focuses on business intelligence and data mining and analytics in Singapore and the region.